When writing Kurinji Flowers I had to spend a lot of time inside the head of my character Ginny Dunbar – not always a good place to be. I tend to work in silence but music plays a massive part in my writing. It helped me get close to Ginny – and sometimes to get away from her. It also took me to Ginny’s world: 1930s England and colonial India. When the book opens Ginny is 17 and a reluctant debutante, in thrall to an older man who seduced her at 14. Rupert Milligan is playing Artie Shaw in his studio when Ginny’s mother finds out about their affair. The song here is Cole Porter’s Begin the Beguine. We had the old 78 RPM disc of this when I was a child so it was nostalgic as well as mood enhancing. Ginny’s honeymoon is in the Grand Hotel, Eastbourne, from where the BBC broadcast its popular radio show From the Palm Court. In 1936 the orchestra was led by a violinist, Tom Jones. Here he is playing with his ensemble in the hotel in 1933. I visited the Grand and the bedroom where Ginny would have stayed. It has a balcony looking out over the sea and is known as the Debussy suite. The composer had an extended stay in the hotel in 1905 and composed La Mer there. Ginny stands on the balcony, watching that same wintry sea and reflecting on her marriage. Most of Kurinji Flowers is set in India so I played a lot of Ravi Shankar to create the ambience in my head – this is Raag Jog. As an ex-pat, Ginny had no immediate access to the indigenous culture and was forced to show up and fly the flag at the Planters’ Club, so I listened to Noel Coward, whose classic Mad Dogs and Englishmen fits perfectly, as well as the Pasadena Roof Orchestra – here singing Me and Jane on a Plane. David Gray’s Sail Away is particularly poignant as it is a declaration of love and a desire to escape with a lover – but Ginny’s husband sails back to India ahead of her and she follows, alone, weeks later. The song conveys what she would have liked but didn’t get. When Ginny does find love, it doesn’t bring the happiness she’s dreamed of. I was listening to Barton Hollow by the Civil Wars while I was writing the book. Their version of Leonard Cohen’s Dance me to the End of Love is romantic but also plaintive and sad. The harmonies the duo create are a perfect combination of two voices. Sadly they broke up in 2014 – which makes it even more fitting. Most of the men in Ginny’s life lie to her. JJ Cale’s Lies captures the I’m-mad-as-hell-and-I’m-not-going-to-take-this-any-more moment and the anger and liberation that comes out of it. Ginny feels that anger when she discovers the truth that has been hidden so long. I’ve always loved using letters. Unlike speech, which is transient and capable of misinterpretation and memory lapse, the words of letters are frozen on the page. The act of writing a letter conveys significance to an event. It allows the writer to say exactly what he is thinking and get it across without interruption from the recipient. Please Read the Letter by Robert Plant and Alison Krauss was a perfect song to channel what my letter writer was feeling. I was listening to Dean Owens when I was finishing off Kurinji Flowers. 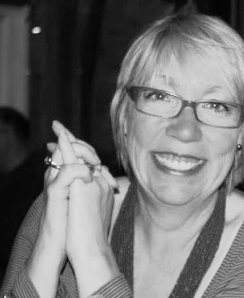 One of my dearest friends was dying – and Dean’s music was important to her. Evergreen is all about bereavement and the memories of love. And I Still Miss Someone, Dean’s version of the Johnny Cash song, captures how the hole love leaves is never filled. The last section of the book is set in the 1960s. Ginny revisits the pub where her husband proposed to her 30 years earlier. Like so many of her generation, she is out of her time in the swinging 60s. The war changed everything and she is an alien in a strange country. She hears the Beatles song playing on the juke box as a couple are snogging in the seat where Tony proposed to her so formally in 1936. The incomparable Sandy Denny of Fairport Convention with Who Knows Where the Time Goes? worked perfectly to give me a sense of time passing, of aging, of loss, of change. A kind of weariness. When I’m writing about sad stuff I need a pick-up at the end of the day. Sitting at a desk in front of a computer means my bones need shaking up too, so my soundtrack has to include music to listen to with a glass of wine, cooking my supper and dancing round the kitchen. What better than Lonely Boy from The Black Keys – the YouTube video features some classic Dad Dance moves. 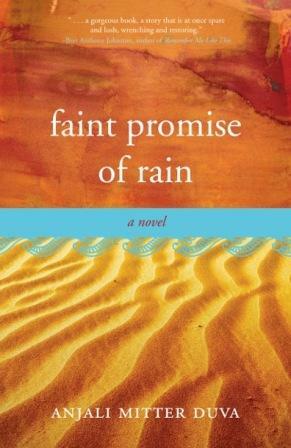 And to go with it, but with a nod to the Indian setting, is AR Rahman’s Jai Ho by the Pussycat Dolls – a celebration of life – and a good fit for the end of the book. 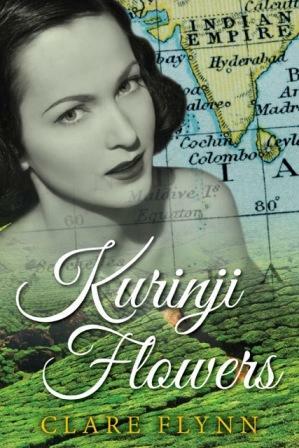 Clare Flynn is the author of A Greater World and Kurinji Flowers. After a career in marketing, working on brands from nappies to tinned tuna and living in Paris, Milan, Brussels and Sydney, she is now happily settled in West London. 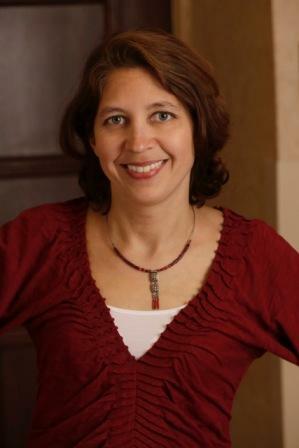 Co-founder of the popular website, Make it and Mend It and co-author of the 2012 book of the same name, her next novel, Letters from a Patchwork Quilt, will be published later this year. 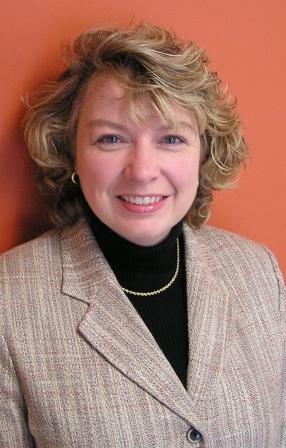 Find her on her website, Facebook, and Twitter as @ClareFly. 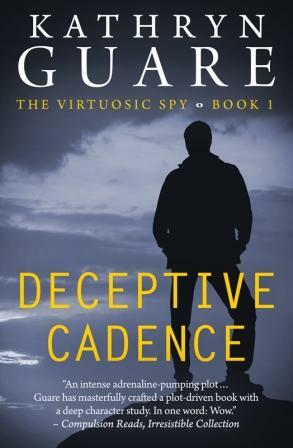 When I first began writing what would eventually become my debut suspense novel, Deceptive Cadence, I started it at the end. I just didn’t realize it. The book tells the story of Conor McBride, an Irish musician turned reluctant undercover operative. The beginning details his recruitment for a very personal mission to India to find and capture his own brother, but the first scene that came to me ended up as the beginning of its final chapter. At the time I knew little about the protagonist. He didn’t even have a name. I knew he was Irish, and was emerging from a traumatic, life-changing ordeal. He was physically depleted, emotionally raw, and frightened. Why? I didn’t know. To find out, I kept writing. While random scenes and bits of dialogue were popping into my head, I was commuting two hours a day to my job—and going through my local library’s inventory of audio books at a rapid rate—when I happened upon a Great Courses audio seminar called How to Listen to and Understand Great Music. To say it had an influence on my writing life would be a vast understatement. Not only did it influence the title of the book (explained here), it also inspired one of the central features of its hero—he’s a virtuoso violinist. Once I had that aspect of his character nailed down, Conor McBride’s personality and all his complexity began to come alive. Many readers of Deceptive Cadence tell me Conor is quite a departure from the typical, stock heroes of suspense/thrillers. He’s a complicated character that they want to know better. I owe that to the Great Courses, and the moment I decided he needed to be a gifted musician. I’m easily distracted by music. The only thing I can have playing in the background while I’m writing are those ‘sounds of nature’ tracks—rain water, thunder, bells tolling, monks chanting—but when looking for inspiration I go walking with my ipod, my music choices driven by whatever theme I’m concentrating on in a given scene. One theme of the book is the paradox of an honorable man forced by circumstance to reinvent himself into something less so. Conor disappears into an assumed identity and enters a world of cold-blooded deception and violence. And finds he is good at it. The internal chaos this creates is mirrored by the literal chaos of his external surroundings. India is a kettle perpetually at full boil, vibrant and desperate, cunning and guileless, its teeming humanity contributing to an overwhelming sensory experience of sights, sounds and smells. Secret Garden’s atmospheric piece Moving captured that internal and external tumult for me, almost a theme song for Conor’s entire journey, so that I ended up including it in my book trailer. It begins with an ominous drumbeat underlying a melody of violin and soaring flutes, evoking the Irish sea coast, but the intensity grows, creating a cascading sense of wildness, perfectly symbolizing the physical and psychic movement from idyllic country setting to exotic, urban mayhem. The Irish-American group Solas does a cover of Jesse Colin Young’s moody Darkness Darkness that inspired me as I watched Conor falling farther from himself. After committing an act of violence that revolts him, he wanders the dark streets of Mumbai, wrestling with guilt, and I thought of this song as I wrote that scene. For the Indian side of the equation, Munni Badnam by Arbaaz Khaan from the 2010 Bollywood blockbuster Dabaang, is a song with a driving urban beat that conjures the modern, kaleidoscopic frenzy of Mumbai’s crowded streets and throbbing nightlife. At the 1:06 mark, you even get a taste of something like a mash-up of a Hindi-Irish reel! I’ve also belatedly discovered the legendary Irish rocker Rory Gallagher, and for some pure, tongue-in-cheek fun, his Philby is perfect for epitomising some of Conor’s disdain for the world of secret intelligence and the testy relationship with his American control officer. Ironically, Rory offers some fierce, sitar-like plucking at the song’s mid-point. Another important theme of the book is Conor’s connection to the mystical, and the special relationship he feels with some of the people in his life – his near-psychic mother, and the tiny Indian mafia wife and guru who becomes a spiritual anchor for him. Turning again to Indian cinema, Love and Marigolds from Monsoon Wedding instantly puts me in the right space for this theme, as does Luka Bloom’s Sanctuary, and Secret Garden’s Hymn to Hope. For the most emotional and climactic scenes of the book, I went back to the classical realm and the second movement of Samuel Barber’s Violin Concerto, Op. 14. I never make it through this without crying, almost from the opening notes of its poignant clarinet solo. The entire movement, with a discordant violin gradually resolving into gorgeous melody, seems like an ode to sorrowful loss that is somehow balanced against a staggering, awe-struck wonder. I won’t reveal details, but suffice it to say this is Conor experiencing a powerful moment of grace even as he is shaken by the reality of grief. I would like to say I’m a connoisseur of music, but that would be giving myself too much credit. I am more like a committed dilettante. I’m a curious listener and lover of diverse forms, which I experience with emotional enthusiasm rather than any depth of expertise, but at least I can say that the Great Courses seminar worked. I now can listen to and understand great music, and it fuels every creative effort I undertake. Kathryn Guare is back in the town of Montpelier, VT where she grew up after many years of globetrotting. She spent 10 years as an executive with a global health membership organization, worked as a travel agency tour coordinator, and her extensive travels inspire her writing. Deceptive Cadence is her first novel, available now at Amazon and other online retailers, and distributed through Ingrams and Baker & Taylor. Visit her website for more pictures, music and fun facts about the book, and connect with her online on Facebook, Twitter, and Goodreads.